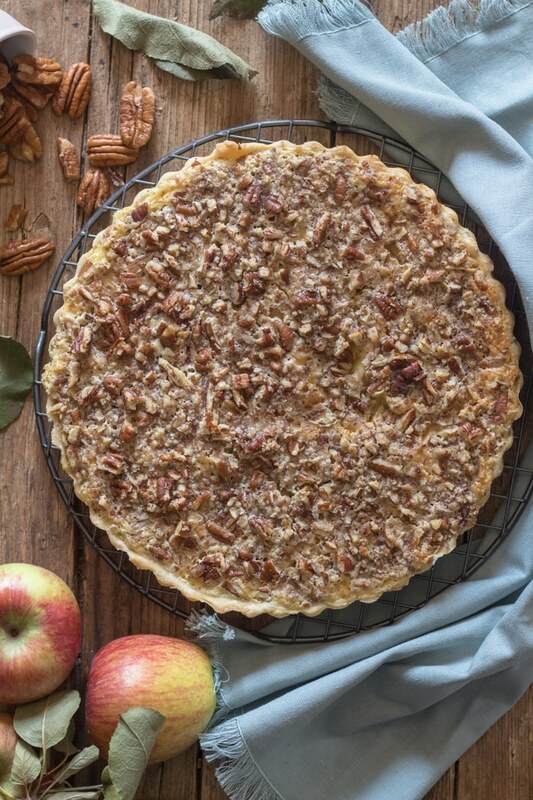 Welcome Fall with this Homemade Apple Crostata filled with Italian Pastry Cream and chopped Pecans. A delicious Dessert Recipe. It’s been a while since I made a Crostata and I actually tasted this Apple Crostata at a friend’s house awhile ago. She told me found the recipe from an Italian Blogger, Misya. It was so good I knew I needed to share it. So for the crust, I used my Crostata recipe, and I decided that I would use the perfect nut. The one that I consider the one that best compliments an apple! 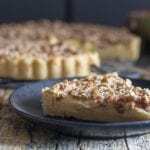 Although if you wanted, you could also use, chopped walnuts, hazelnuts or even almonds. I also think the choice of apple in a pie or crostata, makes a big difference too. I personally always reach for Royal Galla or Fuji, but you could also use Cortland, Empire, Crispin, Northern Spy, Newton Pippin, Rome Beauty, Winesap, Honeycrisp or Braeburn. 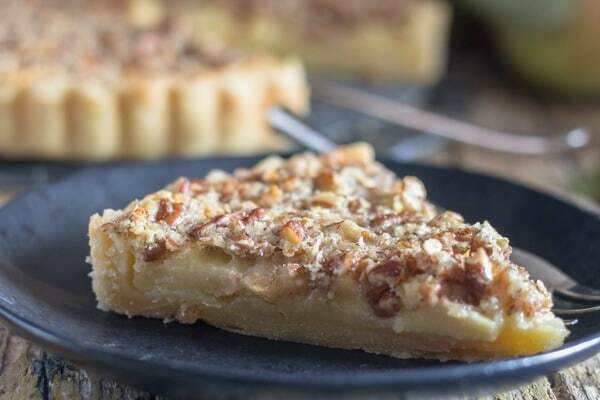 This recipe uses an easy Italian Pastry cream, no need to cook it, just beat it up and pour over the sliced apples, sprinkle with the chopped nuts and bake. It’s so good it doesn’t even need a scoop of ice cream, although if you want you can certainly serve it with a scoop or two, I won’t judge! may just be what you are looking for! Enjoy. * room temperature - remove from fridge 30 minutes before using. Make the Crostata Crust. ** Refrigerate for 30 minutes. Pre-heat the oven to 350F (180C). Lightly grease and flour an 8 inch (22 cm) pie dish. 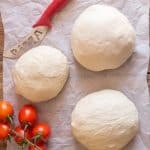 Remove from fridge and knead the dough a couple of times to soften it up again on a lightly floured surface. Roll out to 1/8" thickness. Transfer to prepared pie dish. Trim the dish of any extra dough. And prick the dough with a fork. Peel and slice the apples, (sprinkle with a tablespoon or 2 of lemon juice so that the apples do not turn brown). Cover the top of the dough with the apple slices. In a large bowl beat on medium speed the butter and sugar until creamy, approximately 3 minutes, then add the egg and vanilla and combine, add the flour and mix, then add the milk and beat to combine. 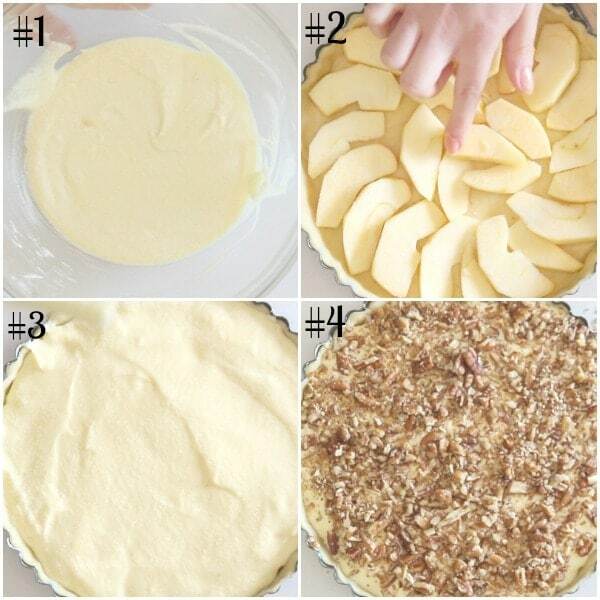 Pour the filling on top of the apple slices, smooth the filling with a knife. 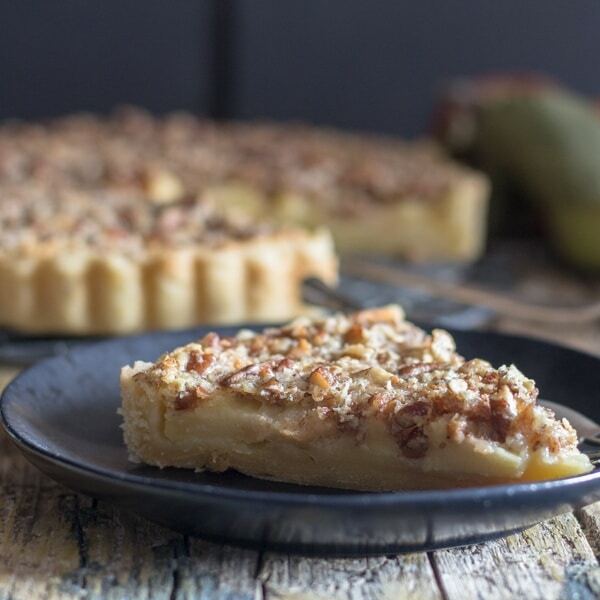 Sprinkle the chopped nuts on top and bake for approximately 30-35 minutes. Let cool completely before serving. Enjoy! *Because of the Italian cream Pie should be refrigerated. 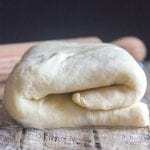 **This recipe requires half the recipe, the remaining dough can be frozen for future use. Am going to try this, looks delicioso! 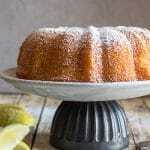 Happy to have found you and your recipes! Went to Misya’s website but I can’t read Italian LOL! Would love to follow her also. Is there a way to translate her site to English? Hi Patty, thanks so much, the only way I can think of to translate her recipes would be to use google translate. Although how well google translates can sometimes be pretty scary lol. I don’t see any where in your recipe on how to make the Crostata dough. I have looked and looked its just not there..
Hi Janet, I actually link to the crostata recipe twice, once in the blog post and once in the recipe. Sorry you missed it, but here is the link. https://anitalianinmykitchen.com/crostata-italian-pie/ . I hope you enjoy it. Have a great weekend. Does this require being stored in the refrigerator or can it be stored at room temp? Hi Bernadette, yes it should be refrigerated because of the Italian cream, thanks I just made a note of that. Have a wonderful Sunday. For those who may be hesitating! I made this and took to the office (willing guinea pigs) and it was a total hit! I will be making this again, for sure. I confess I used a store bought pastry crust (NOT the national brand…yuck) which added to the ease of preparation. Pears, maybe? A simple, yet elegant dessert. Thank you. Hi Jan, thanks so much, so glad it was a hit. And yes store pie pastry does make it easier. And if you try it with pears let me. I can’t wait to try this myself, and I e-mailed it to my sister too! Hi Debra, thanks I hope you both enjoy it. Have a great weekend. 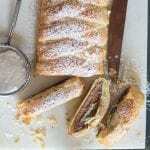 Can corn starch be substituted for the flour in the cream filling. Hi Ane, I have never done it, but apparently you can, it’s a one for one substitution. Let me know how it goes. 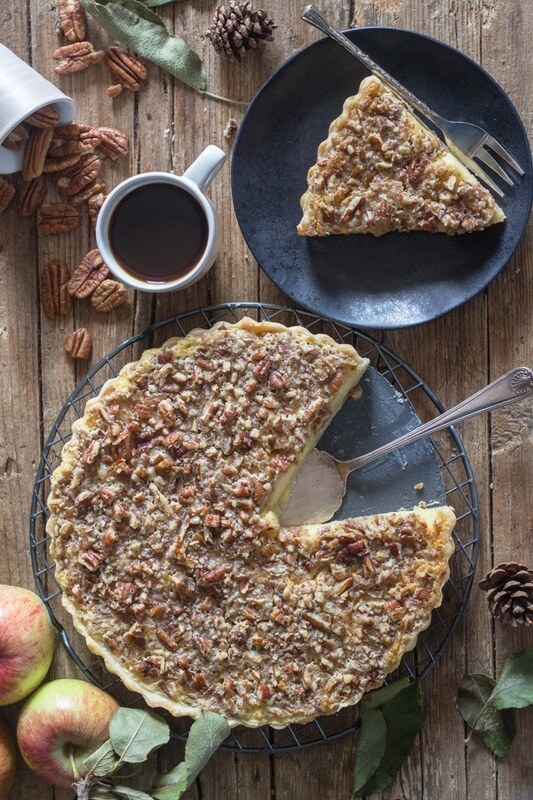 I’ve never seen a recipe for crostata using apples and pastry cream, but why not? It looks delicious, especially with those nuts on top. Hi Linda, thank you, and yes a little different but delicious.